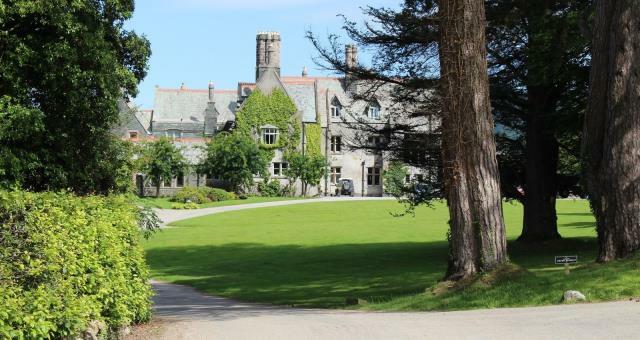 The Lingholm Estate017687 74238work Self-catering11 beautifully appointed self-catering retreats, set within The Lingholm Estate, which is situated on the Western Shore of Derwentwater in a superb location surrounded by amazing views of some of the best loved Lakeland fells. If you are looking for a tranquil lakeside location with nature at your fingertips, stunning scenery and Lakeside access then Lingholm is the perfect place for you. 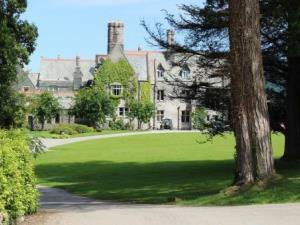 We have eleven fully self-catered holiday retreats, some within the main house and some in the grounds. We would love to welcome you to our little piece of paradise. Central to the Estate is a grand grade II listed Victorian house, built in 1873 by the prominent Victorian Architect Alfred Waterhouse. Beautiful paths lead you through the gardens straight to Derwentwater and the estate’s large stretch of private lake frontage. A short stroll down the drive takes you to a footpath leading to Catbells, one of the most famous lakeland walks, or the round the lake walk, and in the other direction to Keswick. You can catch the Keswick Launch from the Lingholm Jetty for a scenic trip round the lake or directly across the lake to Keswick. The idyllic yet convenient location means you can enjoy a truly relaxing holiday without having to use your car. We are more than happy to accept cyclists, we have a bike rack which you may use during your stay free of charge. Also sited on the estate is the Lingholm Kitchen & Walled Garden. Open every day, The Lingholm Kitchen and Walled Garden has quickly become a popular Lakeland destination for Breakfast, Lunch and Afternoon Tea. Serving a range of locally sourced foods alongside artisan breads and cakes which are all made in the adjoining Lingholm Bakery. With real barista coffee from a local Cumbrian roasters, a wide range of eclectic teas and treats that are hard to resist, a visit to The Lingholm Kitchen will not disappoint. The Lingholm Estate offers weekly bookings starting on Monday and Friday and sometimes short breaks. Keepers Cottage, which sits on the site of where the first estate house once was has been lovingly restored into a four-bedroom cottage with spectacular views of the surrounding fells. 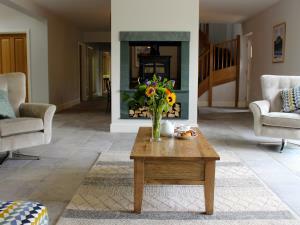 The cottage has an open plan kitchen, living and dining area that centres around a wonderful wood burner that can be enjoyed from both sides for the room. The property is complimented by its own private garden. A travel cot or Z bed (under 12's only) can be hired for £25 per stya. Well behaved dogs are charged at £25 per stay. Keepers Cottage offers weekly bookings starting on Friday and sometimes short breaks. 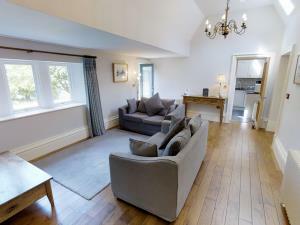 The Old Library is a luxury ground floor apartment set at the front of the house with beautiful views over the front lawn leading up to causey pike in the distance. This beautifully finished apartment is all set on one level and has doors leading to a small raised terrace overlooking the front lawn, perfect for a morning coffee or afternoon tea when the sun is shining! We can provide z beds for children under 12 for a £25 fee. Old Library offers weekly bookings starting on Friday and sometimes short breaks. The Estate is located just outside the village of Portinscale, Keswick. A 45 minute walk or a 10 minute drive from Keswick. The nearest train station is Penrith with a bus stop located opposite the Nichol End Marina.